“For the past five years, Hayley Kincain and her father, Andy, have been on the road, trying to outrun the memories that haunt them both. They moved back to Andy’s hometown to try a “normal” life, but the horrors he saw in the war [Iraq] threaten to destroy their lives. Hayley watches, helpless, as her father turns to drugs and alcohol to silence his demons. And then her own past creeps up, and everything falls apart. I knew this book had darker notes to it, so it had been moving up and down and sideways on my nightstand, waiting for me to be “ready” to read it. Then a series of snow days converged with the cover image to give me the kick I needed to dive in. And now I’m filled with the “evangelical zeal” that John Green talks about to tell other people about it. From the first scene, Hayley had me in her corner. She sees herself as different than the ‘zombies’ in her new school, but right away I could see through her judgmental comments and understand her desire to belong. This is a young girl who has been through a lot, and is now holding on by her fingertips as things go from bad to worse. Some reviews have criticized this novel as giving a “clean” version of Post Traumatic Stress Disorder. If that is true, I’d hate to see the un-sugar coated version. I’m sure for people with personal connections to PTSD, it may read differently than it did for me. But I felt that the author did an excellent job of showing how some people are able to navigate daily life even when they have a very thin hold on reality. I think we would all be shocked if we knew how close so many people are to the edge of breakdowns. (Sometimes I dream that people had meters on them to show their “code red” status…Oh, he’s “code orange” today, better be extra nice...). One of my favorite subplots of this book is Hayley’s relationship with her new friend, Finn. These two remind me a lot of Eleanor and Park*, another quirky couple who find each other among the cloud of teenage angst that surrounds high school. Finn becomes an anchor for Hayley as the chaos at her home swells. Hayley’s character is richly written, with multiple, believable layers. But the supporting cast all have deep back stories of their own. Both Finn and Hayley’s friend Gracie are also dealing with serious issues at home. 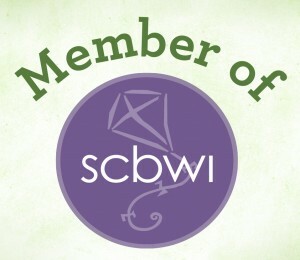 These underlying stories enhance the theme of how we take care of those that we belong to. Andy struggles with invasive memories and does a lot of crappy things as a parent. But we never doubt his love for his daughter. I found the other adults in the book to be very real as well…dealing with their own stuff while trying to do their best for the younger people who are in their care. 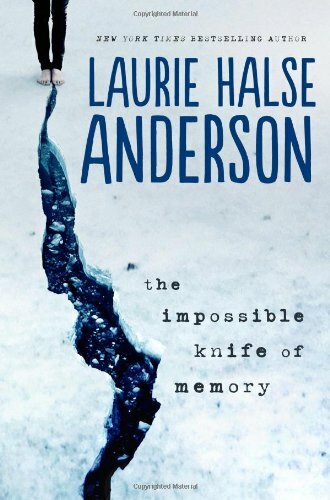 Take advantage of one of these snow days, and read THE IMPOSSIBLE KNIFE OF MEMORY. Whether it does it perfectly or not, this book helps shed much needed light on the issue of post traumatic stress disorder. And that is a good thing. Nancy Tandon • This entry was posted in Parenting, Reading, Teenagers, Young Adult Fiction and tagged Laurie Halse Anderson, Post Traumatic Stress Disorder. Bookmark the permalink. Enjoyed reading your review. I’ve read a few of her other books. Anderson is a strong storyteller. So glad to read your wonderful review of “The Impossible Knife of Memory.” Very thought provoking — it’s been nearly a year since I read it. I especially liked the characters and Anderson’s theme about war, PTSD, and family dysfunction. I loved Hayley and Finn was This is an important novel. 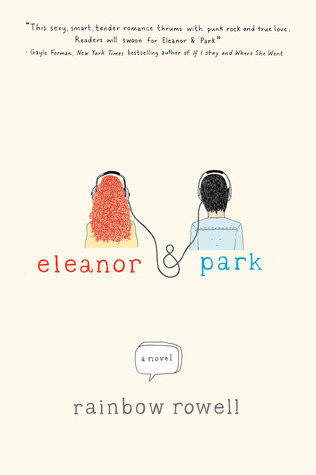 Haven’t read “Eleanor and Park” but it sounds like a good pairing. Great review!